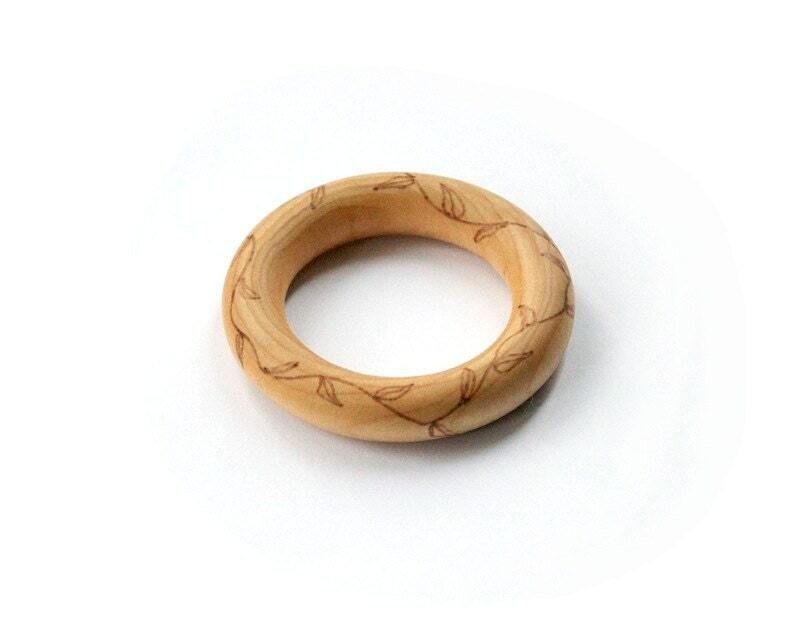 Your baby's teething ring is branded with whatever pattern you would like. I can include dots, flowers, stars, footballs, baseballs, or really any design you would like on your teething ring. No ink, no chemicals, no toxins, no dies--all natural for your little one.